including a new Woe Is I for our times. She has appeared regularly on public radio, including WNYC and Iowa Public Radio. Test your knowledge of English grammar, etymology, and usage with five quizzes. Read Pat and Stewart’s On Language column in the New York Times Magazine on the search for an all-purpose pronoun. Whether you love “like” or hate it, read Pat’s “like”-minded On Language column in the New York Times Magazine. Read Pat and Stewart’s op-ed piece in the New York Times on President Obama’s English. 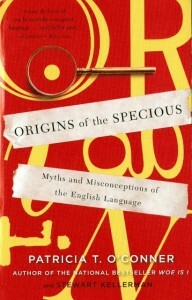 Pat joins four other language mavens on the New York Times blog Room for Debate to discuss the 50th anniversary of The Elements of Style. 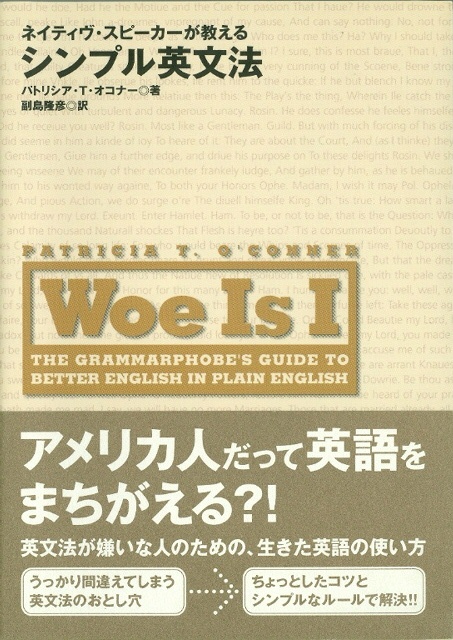 Read Pat’s review in the New York Times of two new books about the English language. Are you a fan of Raymond Carver’s stories? Read Stewart’s interview with him in the New York Times just a few months before Ray died. Write us if you’d like Pat to address your school, business, club, or other group. 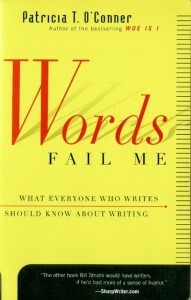 Read Pat and Stewart’s On Language column in the New York Times Magazine about online writing. Read one of Stewart’s dispatches from Vietnam. What’s the right dictionary for you? Pat discusses her favorites on the blog. Are you a virtual mensch? Read her interviews with Grammarist and with WritersWrite. Visit your local bookstore, Amazon.com, or Barnes&Noble.com. 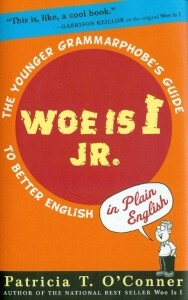 Q: How many copies of Woe Is I: The Grammarphobe’s Guide to Better English in Plain English have been sold? A: Half a million, and not all of them are in plain English! To the left is the cover of the Japanese edition.